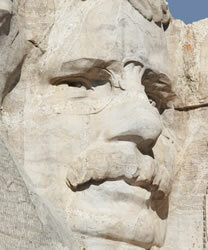 The America the Beautiful Quarters Program kicks off a new 11-year series of commemorative coins beginning in 2010. 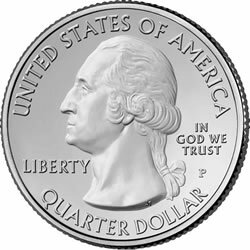 With the US Mint’s preliminary 2010 schedule now available and by reviewing already published offerings from its subscription service, tentative information on many of the new 2010 quarter products and their prices is available for review. Similar to the 50 States Quarters Program and the 2009 D.C. & U.S. Territories Quarters Program, the new series features five different annual quarter designs. America the Beautiful Quarters kick off in 2010. During the next 11 years and at a rate of 5 per year, the reverse or tails side of each quarter will feature a design emblematic of a national park or site in each state, the District of Columbia and U.S. territories. Nearly twenty art renderings were completed some months back as part of the process to select a final quarter-dollar design per location for next year. Referred to as "candidate designs," these have also been submitted to the United States Commission of Fine Arts (CFA) and the Citizens Coinage Advisory Committee (CCAC) for review. All of the 2010 candidates are below, with the favorites of both groups highlighted along with their comments.